Today’s the open day of Lagavulin (Always on the first Saturday of the festival) and as usual, I’ll try to review during the festival a corresponding whisky for each of the Islay distilleries. Instead of going for an official bottling, I’m heading the independent bottlers way and checking a young 9 Year Old Kildalton whisky from a new bottler, The Spirit Still. The Spirit Still can’t call it Lagavulin, but the name of the whisky is a masterful stroke and it’s pretty clear which distillery does it hails from. This whisky was matured in bourbon cask before going a second maturation for 6 months in a Côtes du Rhône French Oak cask. This entry was posted in Whisky Reviews and tagged Lagavulin on May 26, 2018 by Yoav @ Whisky Gospel. Feis Ile 2016 is here and the first open day belongs to Lagavulin distillery. Lagavulin celebrates its 200th anniversary in 2016, one year after Laphroaig & Ardbeg did and they started 2016 with a bang and a new limited release. The limited release is Lagavulin 8 Year Old which was inspired by the visit of Alfred Barnard to the distillery in the 1880s when he tried an ‘exceptionally fine’ eight-year-old from Lagavulin. It’s quite a large limited edition with 20,000 (some says 30,000) bottles in a higher than usual ABV of 48%. It was a bold move to release such a young release and they deserves a big wave of applauses but too bad there is one blemish: it’s not bottled in its natural color. Yes, there’s additional colorant (caramel) as it was mentioned on the bottles delivered in germany and I find it quite a big disappointment as a lighter color is expected here with sub-ten age statement. This entry was posted in Whisky Reviews and tagged Lagavulin on May 20, 2016 by Yoav @ Whisky Gospel. After breaking out the news on the forthcoming Lagavulin 8 Year Old, I thought it would be fitting to follow up with a Lagavulin review, especially when I really wanted to drink some Lagavulin after the news broke out and the excitement that rose up following it. And what’s more fitting than reviewing another limited edition Lagavulin which is also a youngster (comparing to the 16 Year old), the Special Releases Lagavulin 12 yo 2015? This is not the first appearance of Lagavulin 12 on Whisky Gospel, as the 2012 edition was thoroughly reviewed, twice in fact, with the conclusion it’s an awesome Lagavulin, so let’s put the 2015 edition to the test – does it keep up the tradition? This entry was posted in Whisky Reviews and tagged Lagavulin on February 22, 2016 by Yoav @ Whisky Gospel. Update 2: I have a review up and it’s damn good. read here. 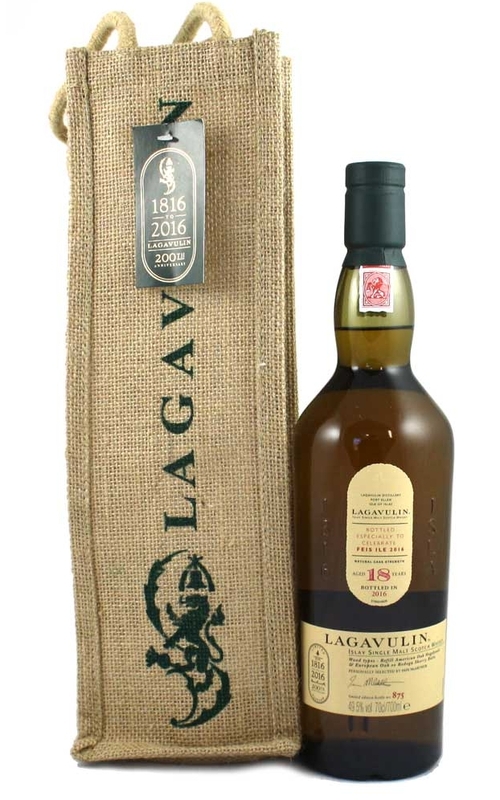 Update: As the Embargo expired last night, more details regarding Lagavulin 8 Year Old are popping up: Indeed it will be bottled at 48% and it was matured primarily in ex-Bourbon casks. It will be available starting at the distillery in late March, European retailers in April and June in USA. Estimated price: £50/€60/$65. Although we’re only in February, a special event in London was held earlier this month to mark the start of the 200th anniversary celebrations of Lagavulin Distillery. From what was revealed on the internet, they had a taste of a new, special but non Feis Ile bottling which was told to be very good, but no further details were revealed till now due to embargo. This entry was posted in Industry News and tagged Lagavulin on February 19, 2016 by Yoav @ Whisky Gospel. While doing the last two posts, I recalled there was one more I wanted to taste. Actually, to re-taste. Back in 2013 I visited Lagavulin and as part of the premium tasting event I tasted the Lagavulin 12 CS (2012 version). You can read all about it here but it was horrible and vile whisky. I didn’t have time to investigate it on the spot as we were in a hurry to reach another tour, but later I got feedback and remarks that led me to the conclusion it was probably a improper cleaned glass and so I promised myself to revisit it someday, and that day finally arrived now following all those reviews in the last few days. Thanks to my friend Michael, I got a small sample of this Lagavulin and tasted it again last night. How was it? vile again or a proper Lagavulin? This entry was posted in Whisky Reviews and tagged Lagavulin on February 17, 2015 by Yoav @ Whisky Gospel. Until a couple of years ago there were only two standard Lagavulin releases: the staple 16yo and the Distillers edition. Then came all those special releases whiskies. We’ve got a semi-official bottling of the 12yo cask strength (in yearly batches) and a couple of truly special Lagavulins: a 37yo and two 21yo bottlings. But it all started with the 2007 release of the 21yo. Distilled in in 1985, matured in sherry casks and although it didn’t sell out immediately like similar bottlings are doing nowadays, it became a cult success and very sought-after whisky and I believe this provided the required spark to all those special releases that came after it. This entry was posted in Whisky Reviews and tagged Lagavulin on February 15, 2015 by Yoav @ Whisky Gospel.